A Silver Service...and a Gold Coin? Invitation to Prof. Justin Walsh's lecture. A Silver Service…and a Gold Coin? 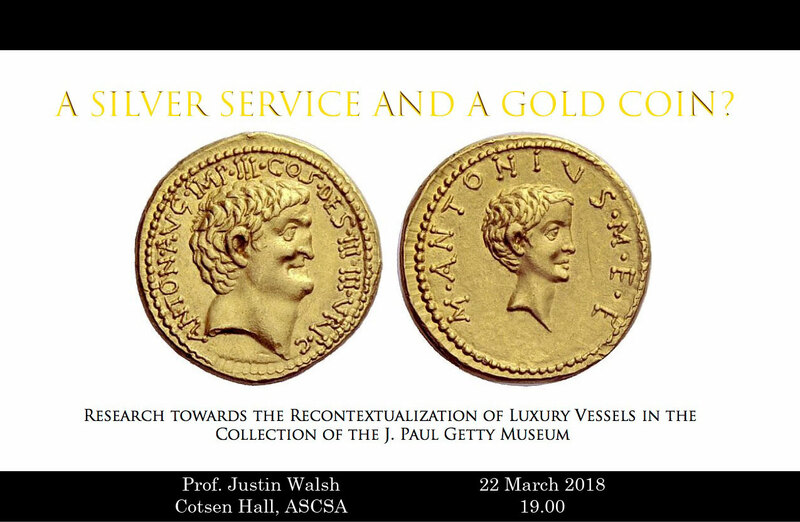 Justin St. P. Walsh (Chapman College) will address the topic “A Silver Service…and a Gold Coin? Research towards the Recontextualization of Luxury Vessels in the Collection of the J. Paul Getty Museum”. The published history of a set of silver and gold objects acquired by the J. Paul Getty Museum in 1975 contains an unusual reference to a gold coin, supposedly found with the set but not purchased by the museum. The coin, which is both rare and well-dated, ostensibly offers a date and location for the ancient deposition of the silver service. Almost five years of research into the stories of the Getty objects and the coin has revealed important information about these particular items, but it also offers a cautionary example for scholars who might hope to reconstruct the findspot of antiquities that are likely to have been looted.